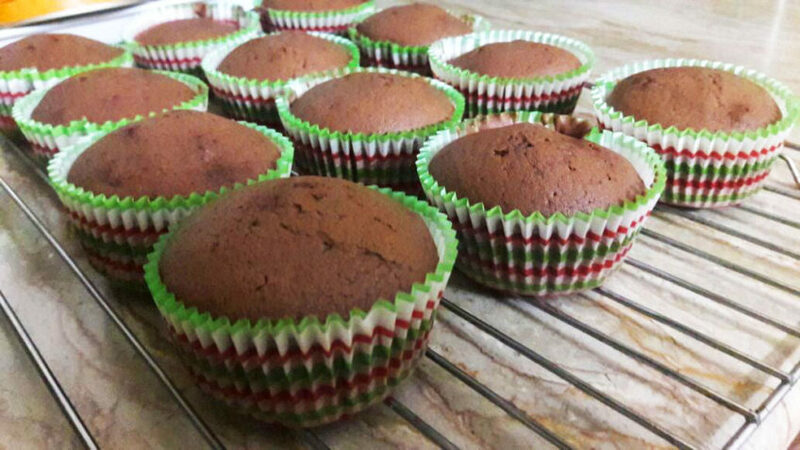 This is a simple yet tasty cup cake recipe that you can prepare very quickly minutes if you have the ingredients at home. Enjoy it with tea or serve it to kids, they will love it everytime they have it and would ask you to make it again and again. Sift the flour with the baking powder and cocoa and put aside. Beat butter and sugar till it become creamy. Add the sifted dry ingredients and vanilla essence and beat again. Now add milk and beat on low speed to avoid splash. When the milk is mixed well and creamy, put the mixture in cup cakes mold. Fill only half of the mold. Bake it for 18-20 minutes.